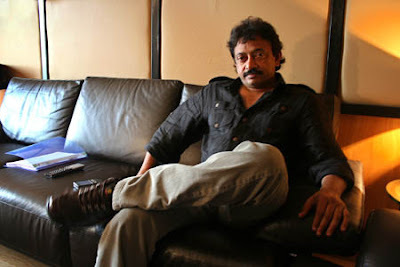 Producer and director Ram Gopal Varma is making a film on the life of forest brigand Veerappan who was was shot dead by the Tamil Nadu Special Task Force (STF) in October 18, 2004. This film is based on a biography on Veerappan title ‘Veerappan: The Untold Story‘ written by the Mysore-based journalist Sunaad Raghuram. The hunt for Veerappan had gone for decades.Veerappan’s wife Muthulakshmi flew down to Mumbai recently and met Varma and they reportedly discussed the storyline of the film. There is a good chance that Muthulakshmi would play a part in it. The film will be directed by Prashant Pandey, who wrote Varma’s latest release ‘Sarkar Raj’ and produced by Ram Gopal Varma and Ekta Kapoor. The film will also tell the story of Veerappan wife Muthulakshmi, the girl who fell in love with the dreaded bandit. If you liked this Ram Gopal Varma to make film on Veerappan, please like, tweet and share this on Facebook, Twitter, Google+, Pin Board or leave a comment. You can also get the latest News by subscribing to our feed. Don't forgot to share your voice with your friends! They may have also like or have thought on this News and that will help us to improve our selves!. Will Ram Gopal Varma change the Climax? On this page, we have tried to provide all the information on Ram Gopal Varma to make film on Veerappan. However, if you encounter any discrepancy in the information about this news, do write to us. We welcome any kind of feedback that would improve the quality of the site, a site that strives to provide the best information on Ram Gopal Varma to make film on Veerappan.